I have been concentrating on developing and practicing a unique way to tell the story and to provide a glimpse into the artist’s world. Wishing to capture the moment of the actual creation and connect the viewer directly with the artists, without giving any attention to the presence of the filmmaker, and to create a feeling in which the viewer has a connection with the artist only. Filmmaking has always been my favorite artistic expression. I love observing people behind the camera and using the power of film to obtain each artist’s unique character. I believe it is important for the artist to be who they are while they were being filmed. If the artist is introvert and feels uncomfortable to talk in front of the camera, It is better to let their works speak for themselves. 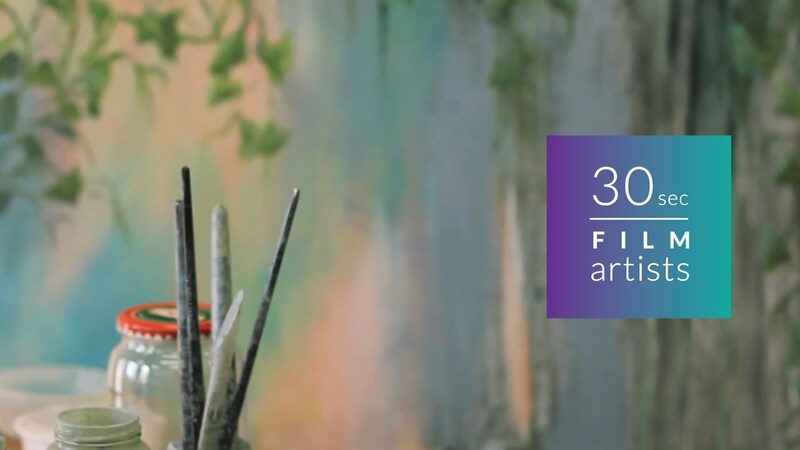 These videos can be seen as short dynamic glimpses into the artist’s’ studio and a visual metaphor for the artist’s creative process, using layers of film imagery and strong musical score. 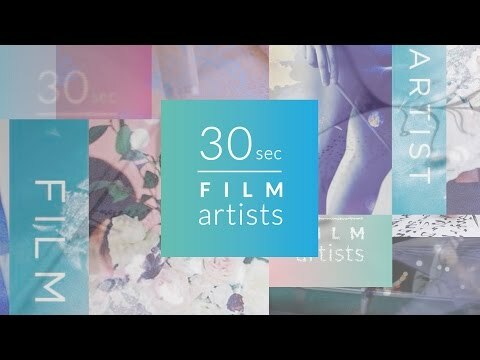 30sec film artists is online video gallery showcasing my increasing collection of artists and their creative process.This on going practice/project started with my curiosity about the working process of artists in their own element. I wanted to see all the steps and creative moments behind each artist that lead to their work, the environment in which they create and the process of creating has always fascinated me. The process of selecting artists for documentation starts with me ongoing study on the artist’s community in Toronto. There is no specific parameters for the qualified artists and they come from a broad range. The artist could be emerging or established and art devoted to their practice and the artwork is their voice.They create art because they have something to tell or express. In dialogue, the story behind the artist creation is very complex. However, painting or any artist expression, such as color choice, space, medium, tools, inspiration, and collections can tell a lot about the artists’ soul. This is my goal in theses short series body of works. Within 30sec to one minute, an artist can’t really show every detail of how she/he works. For example, how they choose papers, colors, life influences. However, their art helps me capture the essence of their stories. We all try to create a persona of who we are, especially in front of the camera. Art doesn’t. This is the power of 30 seconds film artists. By using the power of film, an audience will immerse themselves into the artist’s’ creative world and observe the details both consciously and unconsciously. I am hoping to develop these short videos as poetic as possible. My process involves going to the artist’s studio/home and filming for a couple of hours, emphasizing their creative process and also getting a quick glimpse into who they are, so the video feels authentic to them. I plan to spend more time letting the artists show their works and tell me their stories before filming. During the filming, I usually let artists create their artworks as if there is no one around. While I was filming and observing, I am already processing the information and thinking about how I will best portray their artistic expression. At the end of the film shoot, I will ask some very thought provoking and inspiring questions which aid to trigger the artists’ revealing their unique story behind their art pieces. Before editing, I review the footage and try to find suitable music that enhances the studio visit. Rather than using stock music from online sources, I am luckily having our music composer to help to provide great ambient music I that are creatively composed to suit the imaging and patterning, found in the artist’s expression. I feel strongly that the music should reflect the mood and enhance the artist’s style. Thanks Tomoki Takeuchi for the great works. The editing process starts with a rough cut and continues with small edits until the film has its own unique, dynamic and creative rhythm. The finished result reflects the layered creativity of the artist’s who is being represented. Colour grading one of the most important elements for the project. I take footage from what I’ve shot and added the final touch of magic. The films gradually become a complex tapestry of the artist’s unique creative elements, lighting and countless other decisions in the image making process. These decisions and elements make the short videos more cinematic and take the audience deeply and visually into the story. I find color grading a great way to enhancing filming and ultimately, and most importantly, the artist’s style. 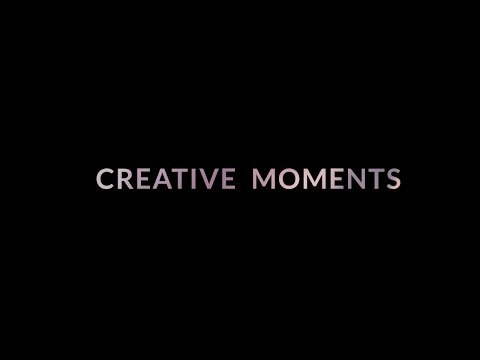 Through the practice of making these short videos, I’ve developed a new and I think, innovative way to document the artist’s’ story. These films captured a huge diversity among artists, which serves as a metaphor for the diverse vibrant Toronto culture. We are hoping to film 100 artists in Toronto and continue our journey into other cities/countries in the future. Please leave a comment and let us know any thoughts or suggestions. We are open for any thoughtful discussions.